Michele is the author and photographer at Flavor Mosaic and specializes in fast, easy, and flavorful recipes with a mosaic of flavors. 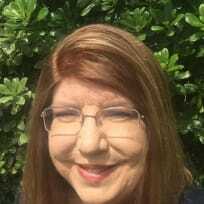 She is married to the Gridiron Grub Guru, who is a football fanatic, and also blogs on Flavor Mosiac! So we eat a lot of game day foods at our house while watching the big game. My husband and I live in Southeast Texas. These Turkey Sliders with a Cranberry Sriracha Sauce make an awesome game day or party appetizer. 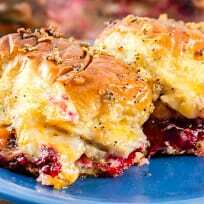 They use leftover turkey and cranberry sauce, plus delicious, delicious cheese!